Hello Ladies!! 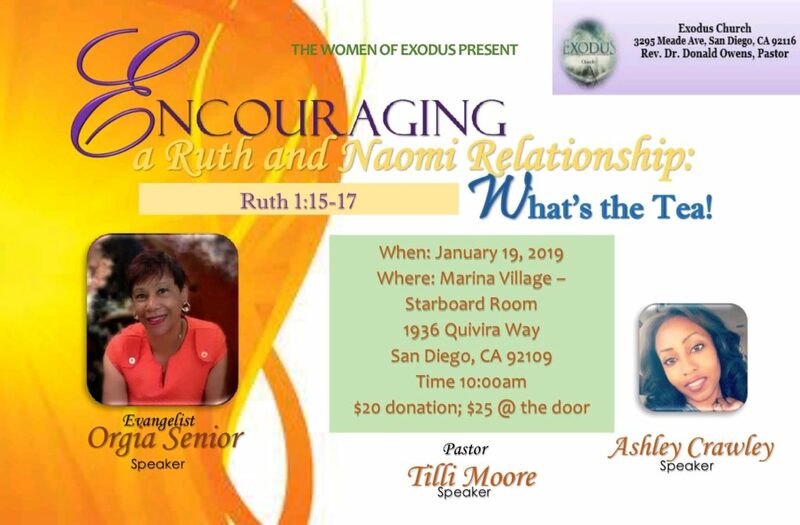 The Exodus Women’s Ministry would like to invite you to our women’s conference on Saturday, January 19th. The conference will be held at the Marina Village from 10am – 2pm. This is an event for women of all ages. So young women, we would love to see you there. This conference is designed to bridge women of all generations in discussing their Christian journey and their role in the current and future church. Tickets are $20. Breakfast and Lunch will be included. You can register for this conference through the women of the Exodus Church. We want to see you there. Our Bible Study continues to grow and our discussions are lively as we continue our studies of the Book of Exodus. After being students of the Bible for many years, we experience jaw dropping moments of new insight into God’s Word. 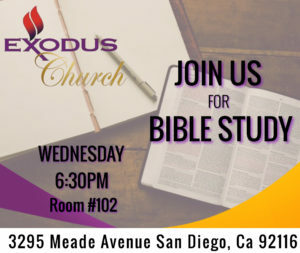 We invited you to come out to Bible Study, Wednesday Nights at 6:30 p.m. in the Exodus Room. Love to Sing? Join the Choir! 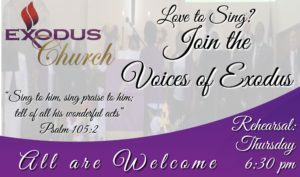 The Voices of Exodus (Mass Choir) have choir rehearsals on Thursday Nights at 6:30 p.m. located in the Sanctuary. 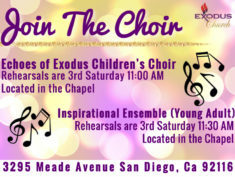 The Echoes of Exodus (Children’s Choir) and the Inspirational Ensemble (Young Adult Choir) have choir rehearsals on Saturday at 11:30 a.m. located in the Chapel. All are welcome to join and praise the Lord with us!! Chosen by God to Stand Firm and Hold Fast to the Word of God!